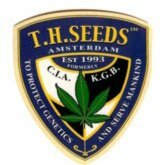 T.H.Seeds® was established in 1993, making it one of the oldest seed companies in Holland. It began in the C.I.A. 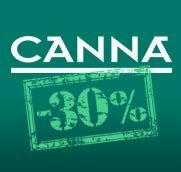 (Cannabis In Amsterdam), which was: a Cannabis information center, a world renowned seed shop,the first hemp store in Europe and, according to Robert C. Clarke (author of: Marijuana Botany, HASHISH! ), "The epicenter of the Cannabis universe." T.H.Seeds® quickly gained an excellent reputation among the experienced growers who purchased T.H.Seeds®. Year after year, these growers return to buy more T.H.Seeds®. Most comment on how pleased they are with the consistency and quality of the T.H.Seeds® genetics. This positive feedback from the growers themselves is the solid foundation on which T.H.Seeds® has been built. T.H.Seeds® is a grower oriented seed company, we seek as much feedback from growers as possible. 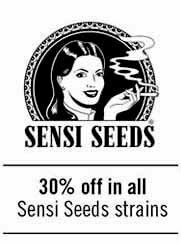 Since its beginning T.H.Seeds® has been on the cutting edge of the New School Canabis Genetics. Born at a time when almost everything in Amsterdam was a mix of Northern Lights, Skunk and Shiva in various proportions, T.H. Seeds® has worked long and hard to bring new stable varieties onto the market. T.H.Seeds was the seed company responsible for bringing the Original Bubblegum™ from the States, and was the first to sell the Bubblegum™ seeds (see New York Times, Feb. 1994). These Bubble Gum™ genetics helped numerous Coffeeshops win many High Times Cannabis Cups over the years. SantYerbasi presents Underdawg OG from TH Seeds. Underdawg OG is the resulting hybrid from crossing OG Kush and Sour Diesel. This is the feminized version from the popular Wreckage by TH Seeds. Wreckage is a hybrid resultant if crossing an OG Trainwreck and our unconfusable SAGE. A-Train is one of the most productive strains from TH Seeds seedbank. A-train was born from a crossing between Trainwreck and Aghani. A strain that will let you wasted with you eyes coloured in red, you know what we mean. High medical values for this strain with quick flowering time, and medium yields. Burmese Kush by TH Seeds,also known at dutch coffee shops as "BuKu", is an OG Kush hybrid, with quick flowering. Citrus taste, in a medium to high yields plant, perfect for small grow-rooms. Darkstar from TH Seeds was born from the crossing between Purple Kush x Mazar I-Sharif. A strong effect plant, that gives you good yields, being easy to trim. Darkstar is an indica sui generis, perfect for those who need pain relief and appetite enhancement, wiz a medium size and a flowering time of 9-10 weeks. SantYerbasi is pleased to present Kushage from TH Seeds seedbank. Kushage is a combination of two high class elements: OG Kush and SAGE. Kushage is a strain with increased yields compared to OG Kush, with longer effects (thanks to SAGE), and a medium to shor flowering time of 9 weeks. MK Ultrais one of the strains with more interest inbetween TH Seeds growers. In addition to multiple cup winning, MK Ultra has a high medical value and the narcotic effect from its parentals. MK Ultra is a quick flowering plant, of only 8 weeks, that ends in a medium size.